Our core philosophy of putting the client first could not be delivered without the dedication and hard work of the entire JML Audio team. Each team member provides a unique blend of skills, knowledge and work ethic that collectively raises the team’s achievements to a level not often experienced in the automotive aftermarket. When clients visit the JML Audio facility, they’ll find each team member’s industry-certificates and professional credentials framed on the walls in plain sight. At JML Audio we’ve taken years to assemble a humble, but capable team and we are proud of their accomplishments and contributions. 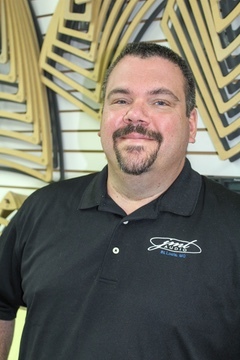 As the Director of Operations with over 25 years of experience, Rob Miller has overseen JML Audio of St. Louis since 2006. Rob is talented at conceptualizing, organized and timely in the execution of new ideas and tireless in achieving the best results for the client. With the ability at JML Audio to accommodate multiple projects and vehicles at once, Rob is the process-driven individual who ensures all the JML Audio team members are working together and efficiently. Rob has award-winning installation skills that include welding, metal work and plastics fabrication. 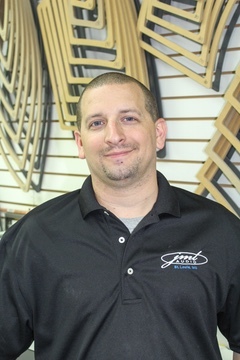 Named as one of the Top 100 installation technicians in the country for 2012-2013, Rob maintains his expertise by attending numerous industry-specific trade shows and technical training events. He loves a challenge and says solving electronic systems as a kid put him on the path that ultimately led to a career at JML Audio. Rob is also an avid car enthusiast with a special love of late 1960’s and early 1970’s American Muscle Cars. Brian joins the JML Audio team with over 15 years of industry experience in the car electronics and accessories integration business. Early in his career he attended DC electrical courses in college to bolster his foundational knowledge of vehicle electrical systems and has since held industry-recognized MECP certification since 2006. Brian is currently an MECP Advanced Level Installation Technician. Installation skills in which Brian excels include remote starter and vehicle security installation and he is also an avid fabricator who can build thoughtfully engineered solutions that meet client expectations at JML Audio. When not hard at work on client vehicles, Brian enjoys spending time tinkering with all types of electronics and attending live music performances. He’s also likes to play hockey and paintball when he’s not spending time with his family. As far as Brian’s preferred vehicles on which to work, he’s familiar with many makes and models so there’s not much that intimidates him or poses a challenge for which he can’t find an elegant solution that JML Audio clients have come to expect. 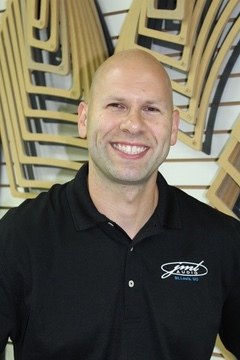 As the founder and principal visionary behind JML Audio of St. Louis since 1997, many clients enjoy seeing Josh’s smiling face and welcoming greetings whenever they visit. Josh is an avid music lover who has broad ranging tastes. He is a technology expert; a self-described early adopter. Chances are if a client inquires about something automotive or consumer technology, Josh is well versed and has great solutions for the client. Through literally hundreds of continuing education and industry training events over the years Josh stays ahead of the curve and develops new techniques for integration into modern vehicles by specializing in fabrication using fiberglass, carbon fiber, acrylic and other automotive-grade plastics. Josh also has a Bachelor of Science in Business Administration, so the business processes at JML Audio are as organized and detailed as the installation work. While he is a true car enthusiast of all cars, Josh enjoys working on European and Japanese vehicles.